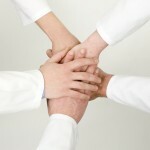 Accountable Care in 2013: Can the ACO Maintain Its Momentum? The number of PHO-led ACOs nearly doubled from 2012 to 2013. Like the hoopla surrounding the patient-centered medical home before it (a model recently pronounced ‘mainstream’ by one industry thought leader), the initial excitement accompanying the ACO has settled into more realistic levels, according to our third annual Accountable Care Organizations survey. Physician-hospital collaborations and multi-specialty physician groups have emerged as front runners in accountable care organizations, largely because their organizational structures have the best “bones” for success in accountable care. The number of ACOs continues to climb, with many more on the horizon, including the accountable care organizations survey respondents will roll out from January to June 2014. Once largely the domain of Medicare, the ACO model is popping up in commercial and even Medicaid territory. In fact, the Colorado Medicaid Accountable Care program just this month announced it had doubled its savings to $44 million in just one year. And so the logical question to ask is: Can the ACO maintain its momentum? Steven Valentine, president, The Camden Group, and Catherine Sreckovich, managing director, healthcare, Navigant, who led HIN’s 2014 Healthcare Trends and Forecasts strategic planning session, believe it’s possible. The accountable care organization continues to hold promise, Valentine said, but despite the proliferation of ACOs, not all have delivered as expected. He advises ACOs to shore up infrastructure and focus more on medical management. This entry was posted on Thursday, November 21st, 2013 at 12:08 pm	and is filed under Accountable Care Organizations, Affordable Care Act, Healthcare Trends, Medicaid, Medicare, Physician-Hospital Organizations. You can follow any responses to this entry through the RSS 2.0 feed. Both comments and pings are currently closed.